Coffee Lovers - Grab Yourself A Bargain! A quick post today to let all of the coffee lovers among you about an amazing bargain my partner and I picked up today while buying some treats (New Year doesn't start in my house until my first day back in work) in Sainsbury's!!! I do already have a Dulce Gusto coffee machine however this machine was too much of a bargain not to get. 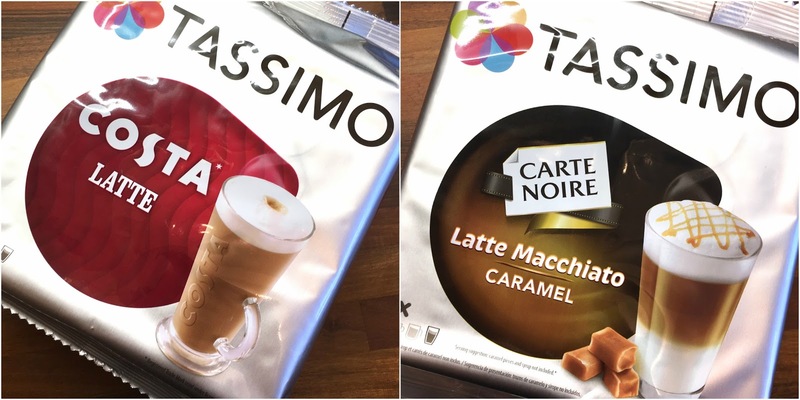 I have seen Tassimo pods on offer in the supermarkets and they have always caught my eye as they have many different options from well known brands such as Costa, Caburys, Carte Noir and even Oreo, plus many, many more! 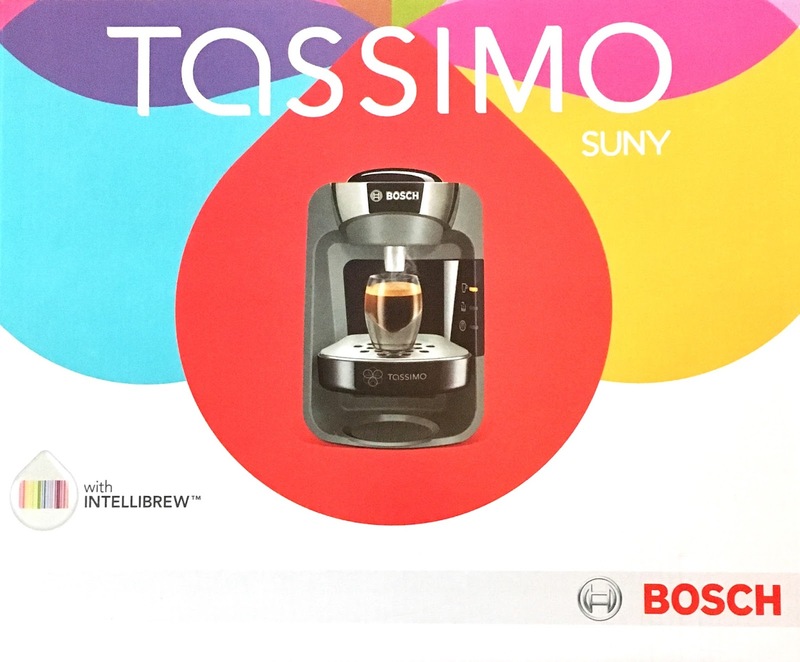 "When you need your favourite drinks in a hurry the Tassimo Suny delivers every time. 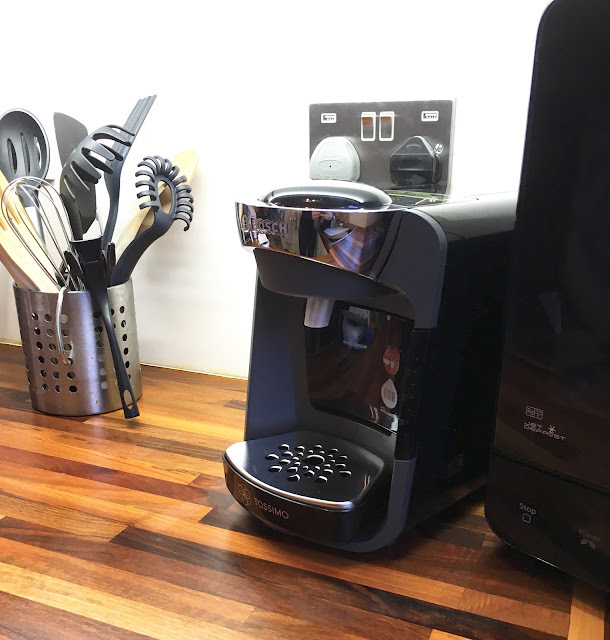 Just pop in a T Disc, press with your cup against the Smart Start button, then watch the Tassimo Suny create coffees, teas, chocolates and more in minutes. 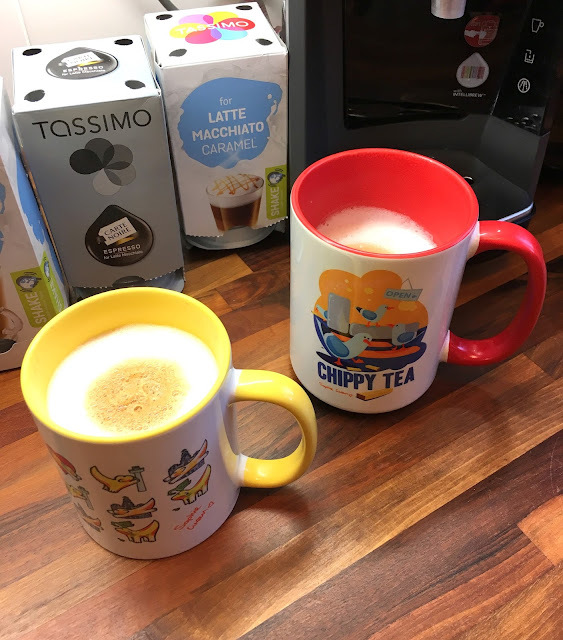 With its sleek design and compact dimensions, the Tassimo Suny fits stylishly into your home, and creates delicious drinks for you and your guests in no time at all." It's sleek, compact, stylish and one fill of the tank makes approximately 4 cups of your favourite coffee (or hot beverage) in a few minutes! I ripped it straight out of it's box to test it out and I am not disappointed, especially as it was less than half price! I often visit Costa and Cafe Nero, a habit I must get out of as it costs around £2.50 per coffee (working in Chester city centre does not help) but now I can have my very own tasty coffee before work every morning! The capsules are very often on offer (around £3.00 for 8 drinks), even when they are full price they are £5.00 for 8 drinks so still considerably cheaper than buying one from a coffee shop! I would definitely recommend this machine, the drinks are delicious! I am sure these will sell out quite quickly so if you want to get your coffee addicted mitts on one get yourself to your nearest Sainsbury's Tesco ASAP! What coffee machine do you use if you have one? New Year - New Job?